Aurora's been around long enough to know that when a day starts out with your handyman going crazy in your front yard, it probably won't get any better. Sure enough, her husband Martin's niece Regina shows up with a baby whom no one knew she was expecting. Then she disappears, leaving behind the child and a murdered husband. To find her, Roe and Martin retrace her steps from sunny Georgia back to snowy Ohio, where they will uncover dark family secrets at their own peril. Aurora Teagarden has a visit from her husband's niece, Regina, who has a baby with her. When Regina's husband turns up dead in Aurora's backgarden and Regina goes missing Aurora becomes involved in the mystery. Interesting and complicated and I enjoyed the read. Aurora Teagarden has a visit from her husband's niece, Regina, who has a baby with her. 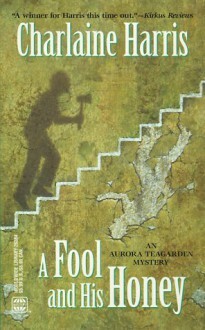 When Regina's husband turns up dead in Aurora's backgarden and Regina goes missing Aurora becomes involved in the mystery.Interesting and complicated and I enjoyed the read. An unpleasant, major downer of a story.